The New Delhi Municipal Council decided to auction Taj Mansingh in the central part of the city. 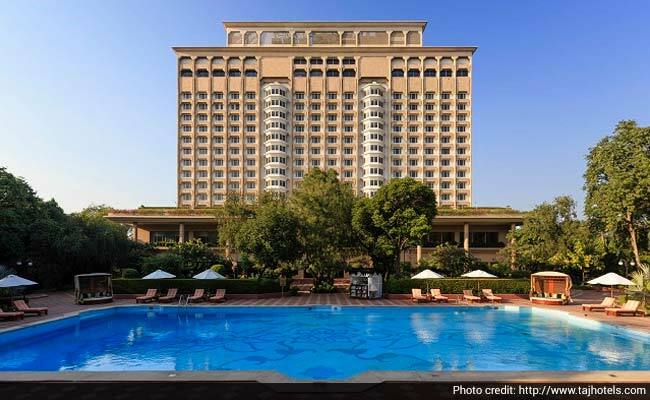 New Delhi: The New Delhi Municipal Council (NDMC) on Thursday decided to auction the Taj Mansingh Hotel and cancel the licence of Le Meridien, two decisions that have been pending for a while. Chief Minister Arvind Kejriwal, a member of council of NDMC, made the announcement following a special meeting of its top decision-making body. "Important decisions at NDMC meeting-open auction of Taj Mansingh, cancel Le Meridian Hotel license, 240 days TMR (Temporary Muster Roll) every yr 2 all death cases (sic)," Mr Kejriwal tweeted. Last November, Indian Hotels Company Ltd (IHCL) of the Tata Group had moved the Supreme Court against a Delhi High Court order allowing NDMC to auction the Taj Hotel arguing there was no need to do it as it generates good revenue for the civic body. Le Meridien's licence fee has been a bone of contention with allegations of irregularities against the civic body in recovery of licence fee from the 5-star property located in the city's Lutyens' Zone. NDMC had hiked its licence fee to over Rs 3 crore last year. It is alleged that NDMC officials allowed a settlement of pending licence fee dues towards the civic body by the hotel by accepting a one-time fee of over Rs 150 crore which allegedly resulted in a loss of Rs 400 crore to the exchequer.